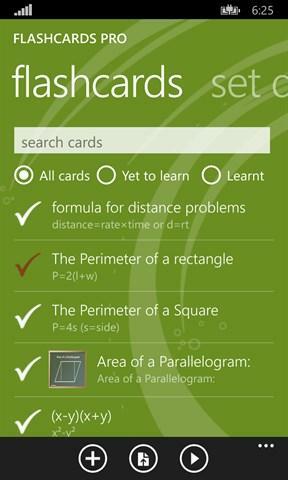 #1 free flashcards app for Windows - use it to learn any subject (math, science, alphabets, competitive exams etc). Learn languages, use text to speech for audio based learning, help kids to learn alphabets and vocabulary, prepare for competitive exams, improve memory, and much more. 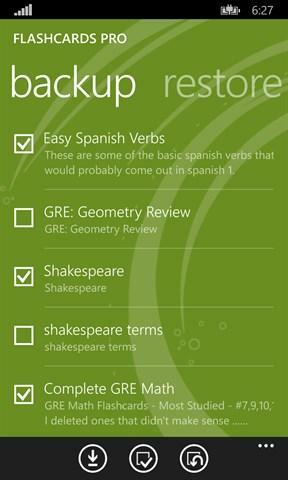 Learn a subject by searching and downloading from millions of flashcard sets available on quizlet.com and cram.com. For ideas and inspiration, browse different subject categories on the main page. Or you can get creative and make your own flashcard sets using text and images. Use text to speech to have your cards read with 42 different voices and 19 languages. This aids in faster language learning and better memory retention. You can set different languages for the front and back side of the card through the Text-To-Speech option in study view. For example, if you are studying French, you can set the front of the card to an English voice and the back to a French voice. This makes learning faster and fun.